Harborlife We are on Facebook! 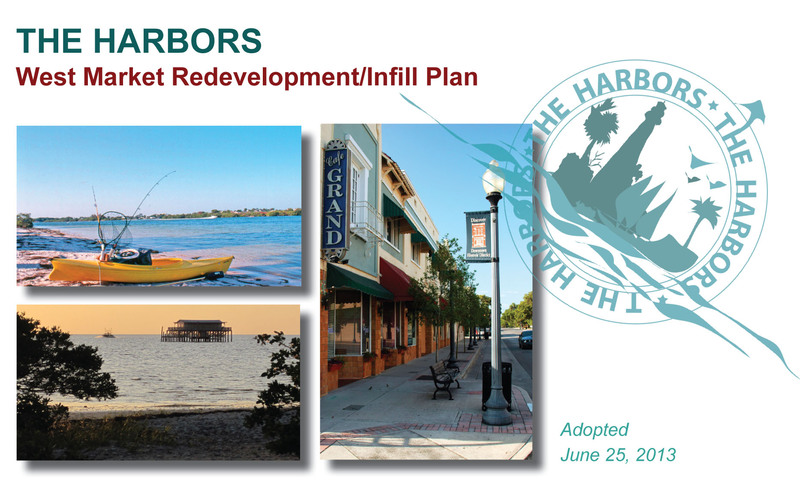 West Market Redevelopment Plan - 'Harborlife'. Come join us on Facebook and share your ideas, comments and suggestions on how we can together improve the West Market Area. We are also developing a comprehensive communication strategy to increase outreach for the redevelopment efforts. To read more about this please visit our Implementation Efforts page. Beginning in 2010, Pasco's planning team worked with a diverse group of participants including residents, business owners, County and city officials, and regional government representatives to create a realistic plan that is reflective of the community's interests and aspirations. This document is the result of an extensive community visioning process. The presentation, handout and implementation priorities that were discussed at the Board Meeting on June 25th, 2013 are given below. We strongly encourage you to get involved, read about the Plan and ask questions. Your continued support is essential for the successful implementation of the Plan. Get involved and let us know your comments!